Imagine if someone broke into your home, knocked you out to point of amnesia, then turned your house into theirs. Replacing your family pictures with their own potraits, rearranging your furniture, and altering your wardrobe. They gave you a tent in the corner and told you they found you in an alley and they brought you "home". Your home. If you could only remember...Then like pulled elastic, your memories snap back. That's your bookshelf, you recall the cracks in the ceilin...g, the squeaking of the door handle. THIS IS YOUR HOUSE! You finally snap when you see Mama's potrait coverd with a collage of dog Polaroid photos. This is the predicament Black people are in. Atlanta is Atlantis. We haven't gone anywhere. 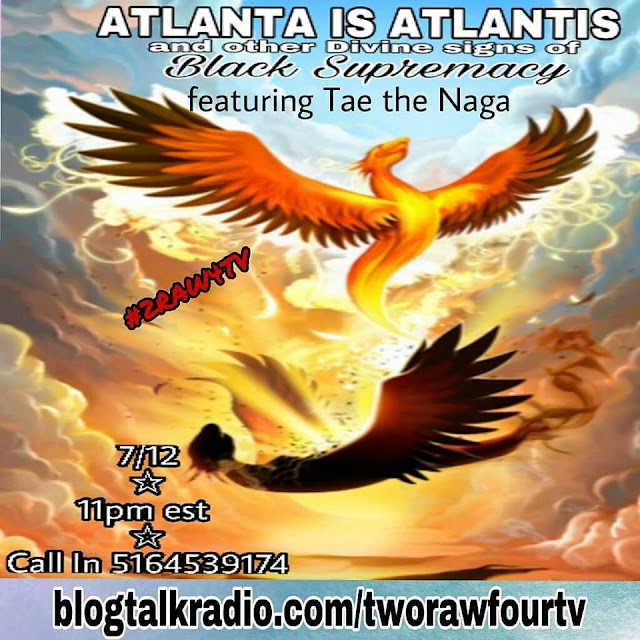 We are taking back our house ATLANTA IS ATLANTIS AND OTHER DIVINE SIGNS OF BLACK SUPREMACY.